Hi, my name is Katie, and I’m a bit of a book-aholic. 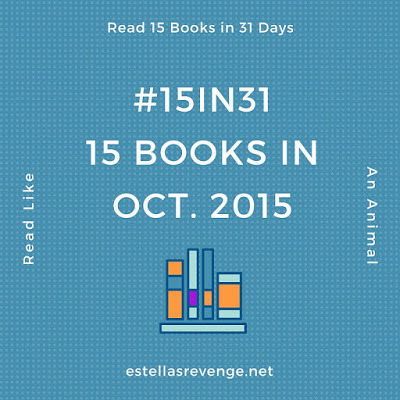 Which is why I was thrilled when Andi from Estella’s Revenge decided to host a #15in31 reading challenge! The challenge is as simple as it is slightly insane: read 15 books in 31 days. Or at least try to. Either you meet it or you don’t – and even if you don’t, any reading is an epic win! I’m pretty sure I’m going to hit my mark though. As I’ve said recently, I’m starved for stories right now; I can’t read enough of them! I’ve read 16 books in September already, and that’s with devoting most of my weekend time to getting Jeff and the Xman moved in and their old house cleared out. Right now I’m reading A Little Life and re-reading The Girl with the Dragon Tattoo and Rose Madder and reading The Martian out loud to the girls. And still I use the word “starved”! So what am I looking forward to reading next month? 1. 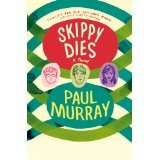 Skippy Dies – Paul Murray. One of my Quarterly Box books! String theory aside, this book has been on my TBR forever and I can’t wait to fall into the intrigue of boarding schools again. (My heart will be secretly waiting for whispers of magic and muggles, but I’ll try to contain myself.) An actual paperback awaits. 3. 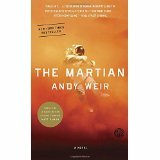 The Martian – Andy Weir. Yep, just assuming I won’t have finished the Out Loud Read-along with the girls. We’re lucky if we can get through 25-30 pages a night, with all their questions. It can be pretty advanced, science-wise, and then Bee likes to make fun of all the curse words, so I don’t mind. Much. Paperback version – and not the movie tie-in one. 4. 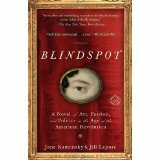 Blindspot – Jill Lepore and Jane Kamensky. Another re-read, one I usually hanker for in October, though I’m not sure why. It’s a hilarious send-up of 18th century fiction, written epistolary style in a way that really works. Good, old-fashioned historical romance, with a bit of intrigue! This is a well-worn hardcover, though I wish I had a paperback. 6. 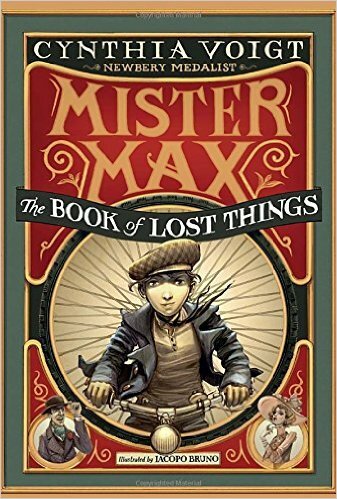 Mister Max: The Book of Lost Things – Cynthia Voigt. If I finish The Martian in time, this will be our next Out Loud book. If not, I’m going to read it anyway. I tried once before and didn’t get very far, but it’s been sitting on our shelf since Christmas and no one has picked it up. That hurts my heart. 7. 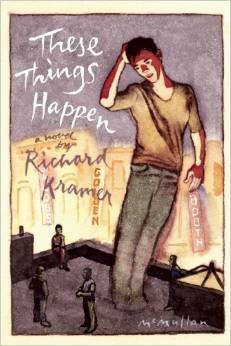 These Things Happen – Richard Kramer. 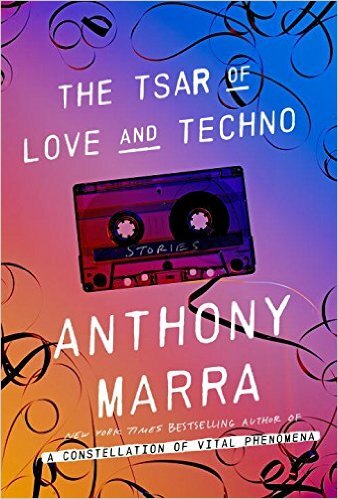 I read the first chapter online and really liked the story about a boy’s coming of age as he travels between two sets of Manhattan-ite parents: his mom and stepfather and his recently-come-out father and partner. From what I’ve read, the writing is fantastic. I can’t wait to dive into the rest, paperback-style. 8. 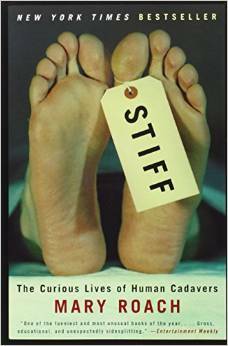 Stiff: The Curious Lives of Human Cadavers – Mary Roach. 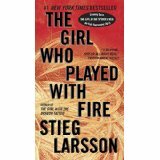 I think this is my last book for the Read Harder challenge! Huzzah! Also rather appropriate for Halloween, no? 9. 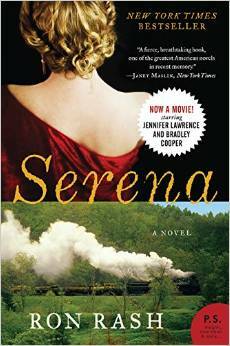 Serena – Ron Rash. While comparisons to John Steinbeck and Cormac McCarthy don’t exactly have me running to my library to grab my holds that have come in, the book was on any number of Best Of lists and was a finalist for a PEN/Faulkner award. A tale of corruption, greed, and adventure in 1930s American wilderness – it’s all going to come down to voice, isn’t it? Library ebook. 10. 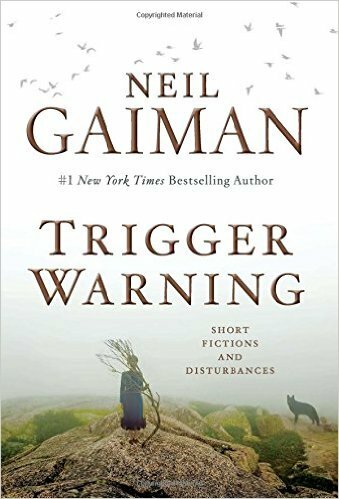 Trigger Warning – Neil Gaiman. Yes, another book of short stories, but it’s Neil Gaiman!! Of course I’m going to read it. And love it. The other five books are just going to have to fall into my hot little hands. That’s how I determine most of what I read next anyway. It’s going to be a fun month and a fun challenge. If you want to join, stop by and leave a linky with Andi over here on her post! This entry was posted on September 29, 2015 at 8:23 am and is filed under Hey! You over there! Entertain me!. You can follow any responses to this entry through the RSS 2.0 feed. You can leave a response, or trackback from your own site. Sure! What’s another challenge this month. Let’s do all the things!